Keep calm wall sticker. Maybe the best advice you'll ever get. 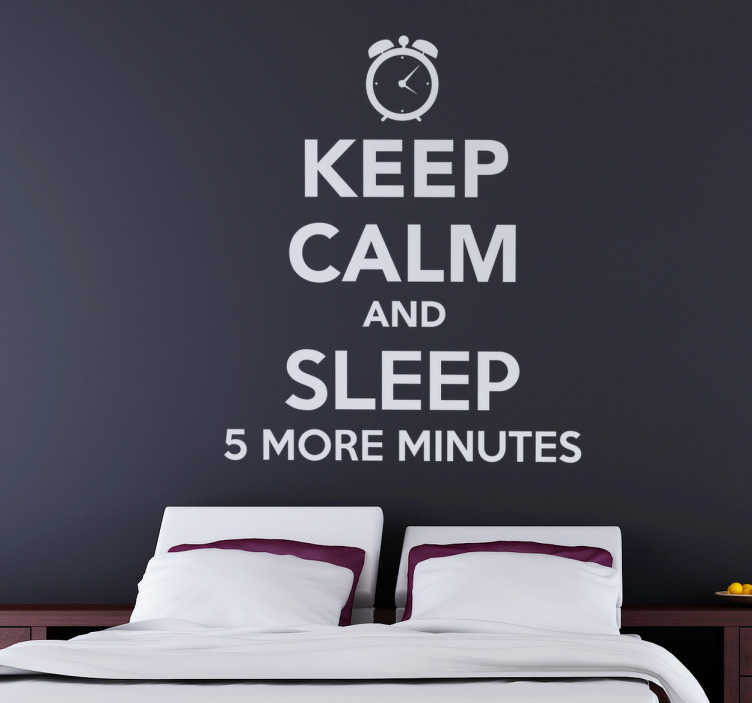 This text based sticker consists of the phrase "Keep calm and sleep 5 more minutes" in the design of the classic keep calm poster. This wall sticker is perfect for decorating your bedroom and hanging over your bed. If you know someone who always presses the snooze button on the alarm, then this sticker can be the perfect gift for them.